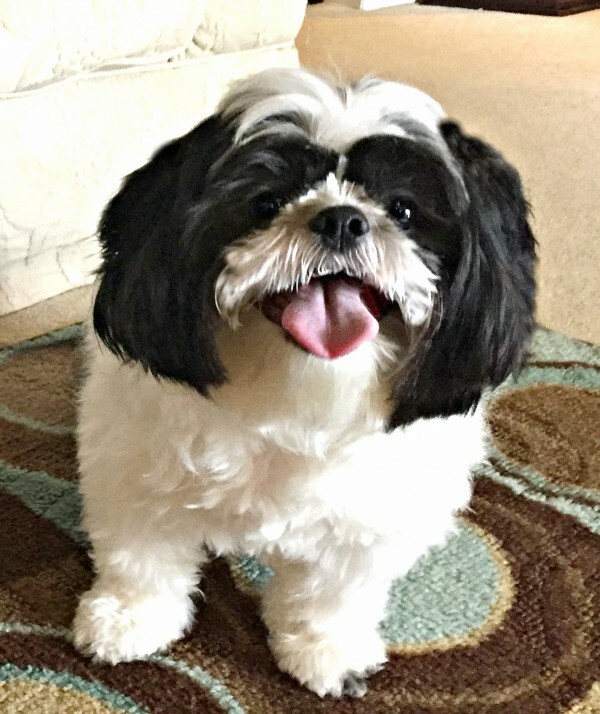 This post is sponsored by Nudges® Dog Treats and the BlogPaws® Pet Influencer Network™. 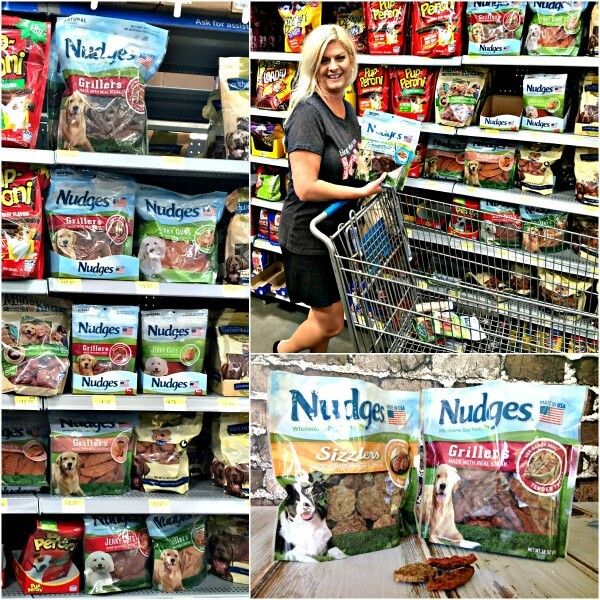 I am being compensated to help create awareness about Nudges Wholesome Dog Treats available at Walmart but we only share information we feel is relevant to our readers. Nudges Dog Treats is not responsible for the content of this article. Our sweet Baxter has been a part of our family for almost three years now. That’s almost three years of pure joy and lots of furry hugs, belly rubs, and laughter. Does he ever make us laugh. I’ve had several dogs in my lifetime but none that had quite the personality that Baxter does, he really is like a shorty, hairy canine comedian. He is a good dog, always trying to please us. There is no question that Baxter loves us unconditionally. We hope he knows that love is reciprocated. One way we show him our love and how proud of him we are is by rewarding him with treats. I want the treats we feed him to be of high quality and thanks to Nudges Dog Treats, we can provide him quality treats at an affordable price. 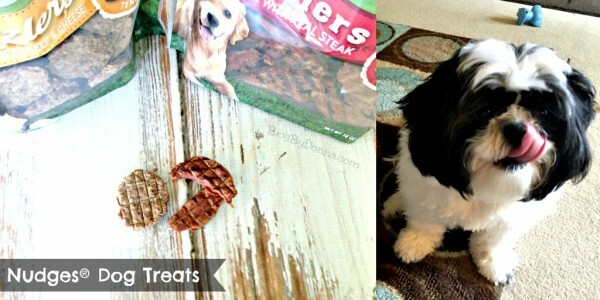 If you are a budget-minded person, Nudges Dog Treats are perfect. You really don’t have to sacrifice quality for price. One of my favorite sections of Walmart is the pet section. I could spend hours there, really. It’s where I pick up Nudges Dog Treats for Baxter. Baxter loves Nudges Sizzlers and Grillers. I can tell you they look and smell like high quality treats and Baxter would tell you they taste great. I love that they are made with real chicken, pork, duck or beef. I also love that they are made in the USA. I can feel good about giving Baxter wholesome dog treats. 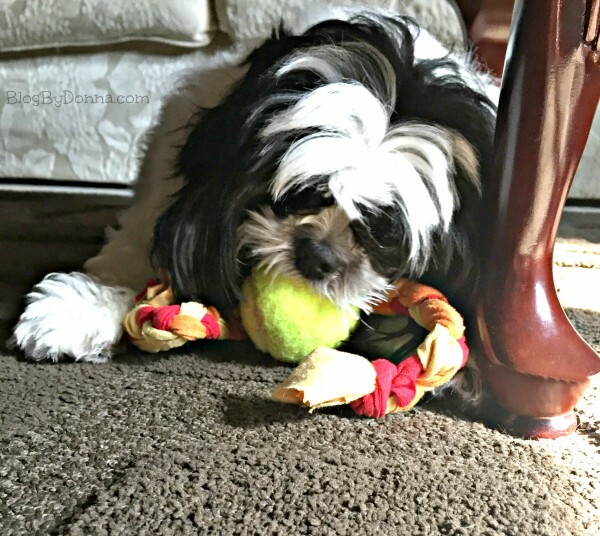 Another way dog owners show they love their dogs is by providing them with toys. 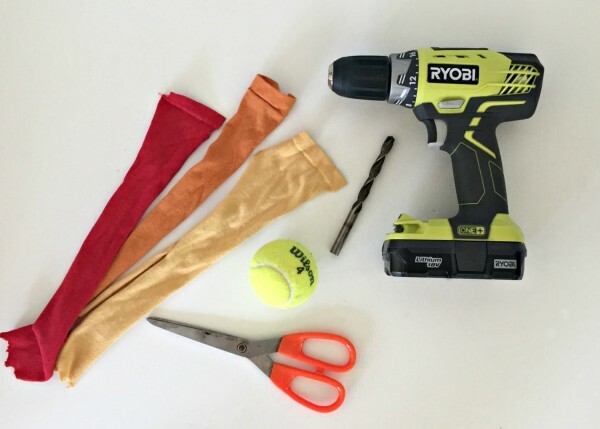 It’s easy to give your pets budget-friendly dog toys, too, by making them yourself with things you probably already have around the house. Step 2: Cut at least two strips of material (I did three) but probably no more than four strips or it will be too thick to go through the ball and make them long enough to give you at least a few inches on either side of the ball (plus enough room to tie knots). 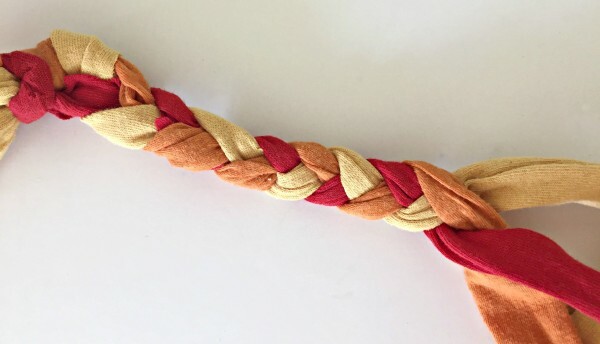 Step 3: Tie a knot on one end and start braiding the material. Step 4: As you are braiding the material be sure to make it very tight by pulling the material tautly as you continue to braid. 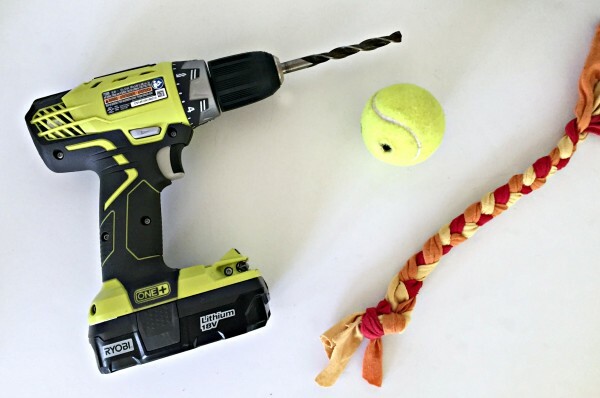 Step 5: Drill a hole through the tennis ball and push your braided material through one end of the ball (I used the sharp end of my scissors to push it through). Once it’s through, tie a knot in that end. The real test is giving it to you fur friend to try it out. Baxter gives his seal of approval. He loves it! Told you it was easy! And I already had everything to make this pull or tug toy so it didn’t cost me a thing. 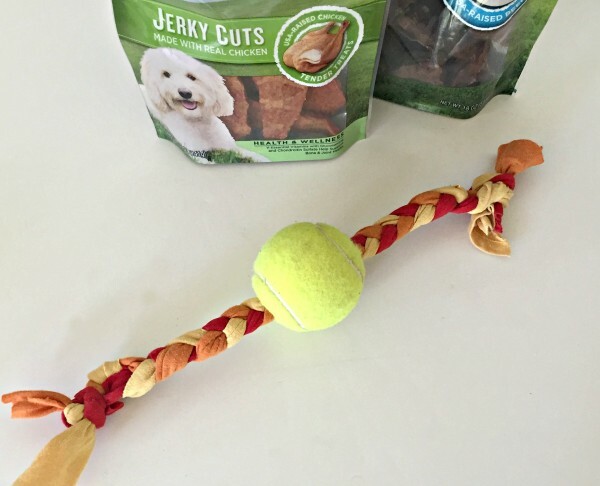 It’s not difficult to reward your pups with good for them treats and dog toys without breaking the bank. Be sure to follow Nudges on Twitter and like them on Facebook for information and all the great pet pics (that alone makes it worth it, just saying). This is a sponsored conversation written by me on behalf of Nudges. The opinions and text are all mine. Thanks for sharing these great treats AND this great toy project! I love both of them. Great job. I’m going to have to make one of these for my dad’s dog. I am for sure making one of those toys for my 3 pups! They will LOVE it!!! I can’t say I’ve seen these treats on the shelves here in Canada but I’ll keep my eyes peeled! Great project. My new puppy needs me to make one. I’ll be looking for these treats. Baxter is such a cutie. We have a dog about his size, but he’s a dachshund and chihuahua mix. Cute tutorial!! I made a fishing rod for my cat one day, and she loves it. I don’t have dogs, but my daughter has two. I bet they wold love the Nudge snacks. The chew toy is super cute as well. Your dog is too cute. My dogs would enjoy these treats, I gotta find them! I don’t have a pup but these sound like great treats for dogs. I love that they are made in the USA. These look like a great treat option for dogs. Love that they are wholesome and good for them too! What a great way to reward your pets! 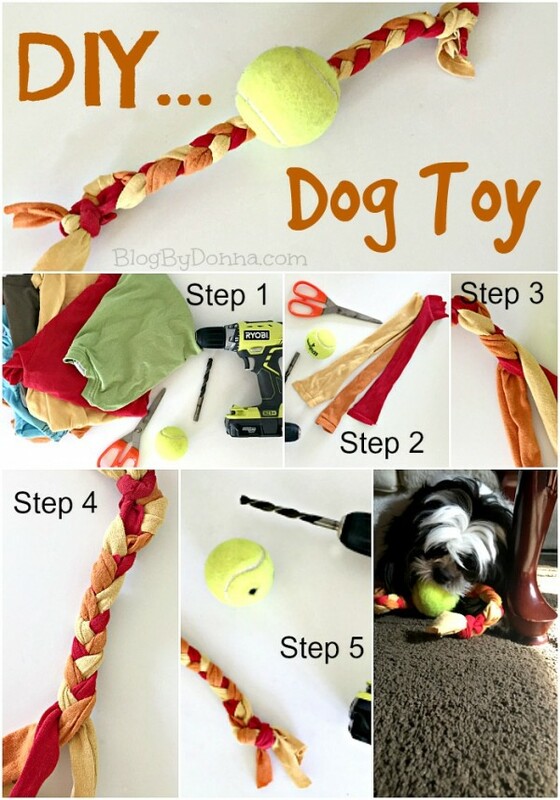 I’m loving your DIY dog toy! I really think these treats are adorable! I’m sure the fur babies love getting them too. It’s nice that the ingredients are filled with preservatives or anything like that. Thanks for the cute DIY too! My dog will surely love Nudges! I think we should try all the varieties. Love that toy! My Sister is coming to visit with her little dogs this weekend. I will have to make them one of these toys. I always have treats for them when they visit. I always am paying high prices for just the right food and treats. These look like a great option! We will have to give these a try! We usually give them a variety of treats so I’m sure they’d be thrilled to have another new option! And these look like great treats! My sweet pup is getting a little chubby. Considering she’s small in size, each pound she gains is a significant burden on her. I need to be sure I’m giving her wholesome treats like these when she needs a little love or reinforcement. This is a great idea. My dog loves treats. 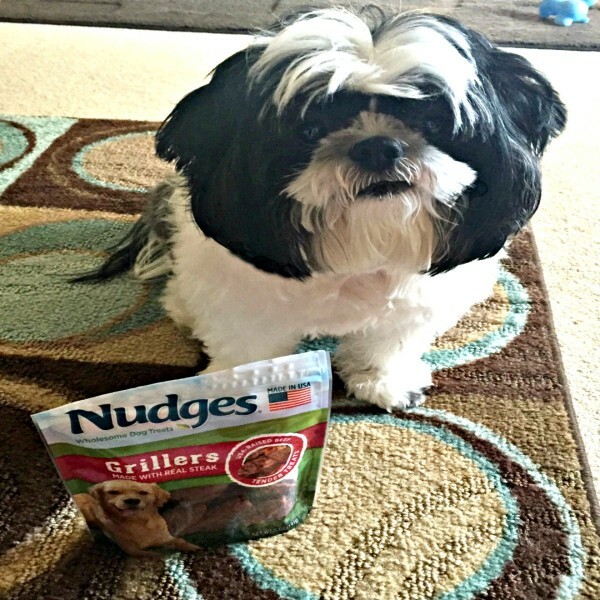 Thank you for sharing Nudges dog treats. Since Baxter gave his seal of approval I will bet that Scooter will, too. We are delighted that they are mad in the USA. This is a nice treat. I will share this with my friends who loved their pets. Your little guy is so cute! 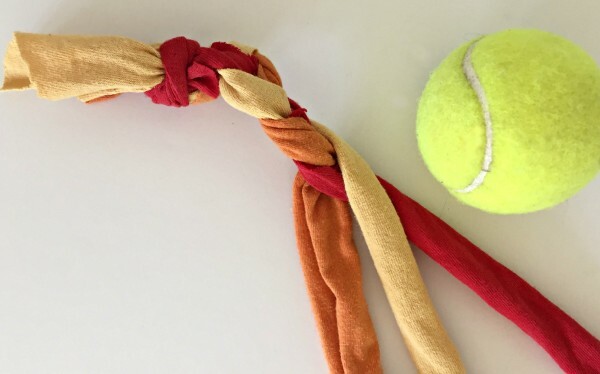 I never thought of making our own pet toys. Might have to do that for our cats. I have 2 dogs. One is large and one is small. Serious age difference too. They are my furkids for sure. My oldest one has a very senitive stomach so I can’t switch her foods, but she still loves a good playtime. I know what I am making this weekend, lol. My boy will love his new toy. And I am positive he will go nuts for those treats. I will have to try and remember to look for these; I am always trying to find good treats for my Buddy. What a great tutorial! The Goldens are loving their Nudges,too! 🙂 Great post! What a cutie! 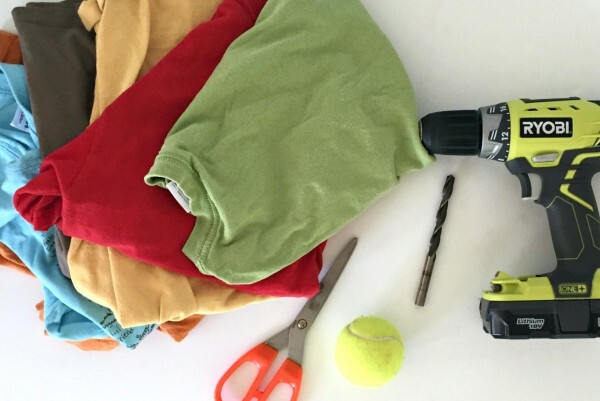 Also, that DIY toy is awesome. I would love to try this because my 75 pound baby loves to play! Good doggie toy. Mine would love it and the Nudges sound good and the price is right. What a beautiful dog Baxter is. He definitely gets spoiled with love. I think my dog would love this!